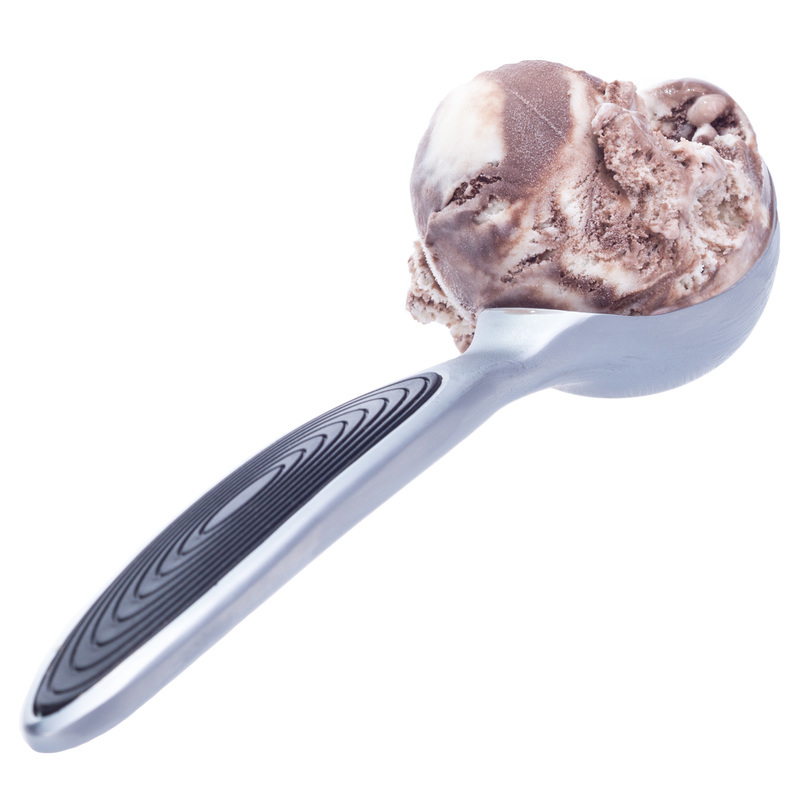 SOLID, STURDY & UNBENDABLE for the hardest of ice creams. Made from zinc-alloy with TPS used on the black portion. Surface finish is Chrome-plated. Won't bend when used on hard frozen products. 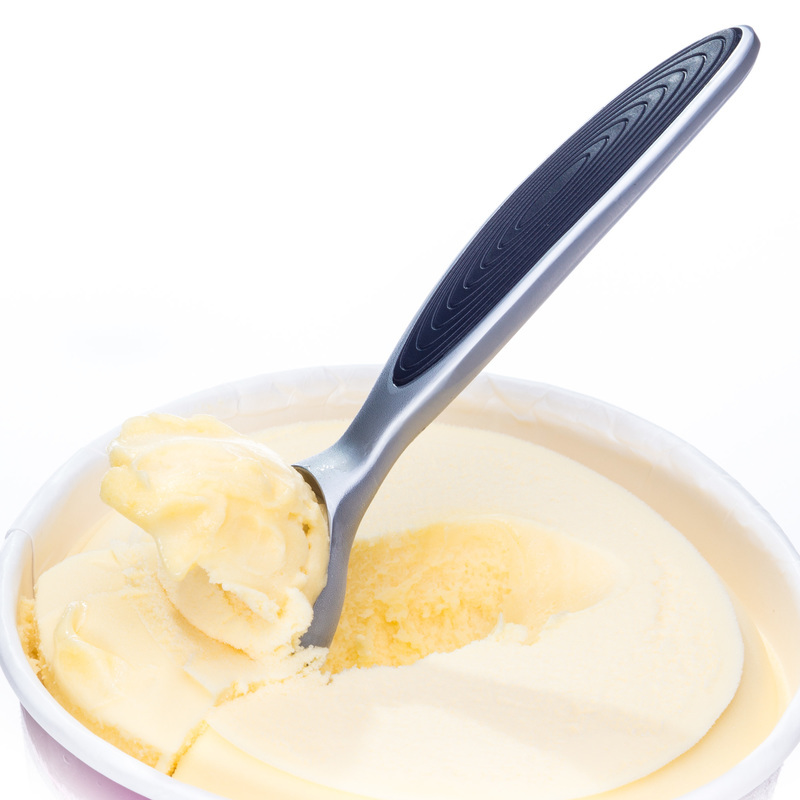 Enjoy delicious ice cream, sorbet or Italian gelato straight from the freezer! This scoop glides through hard frozen desserts like butter. 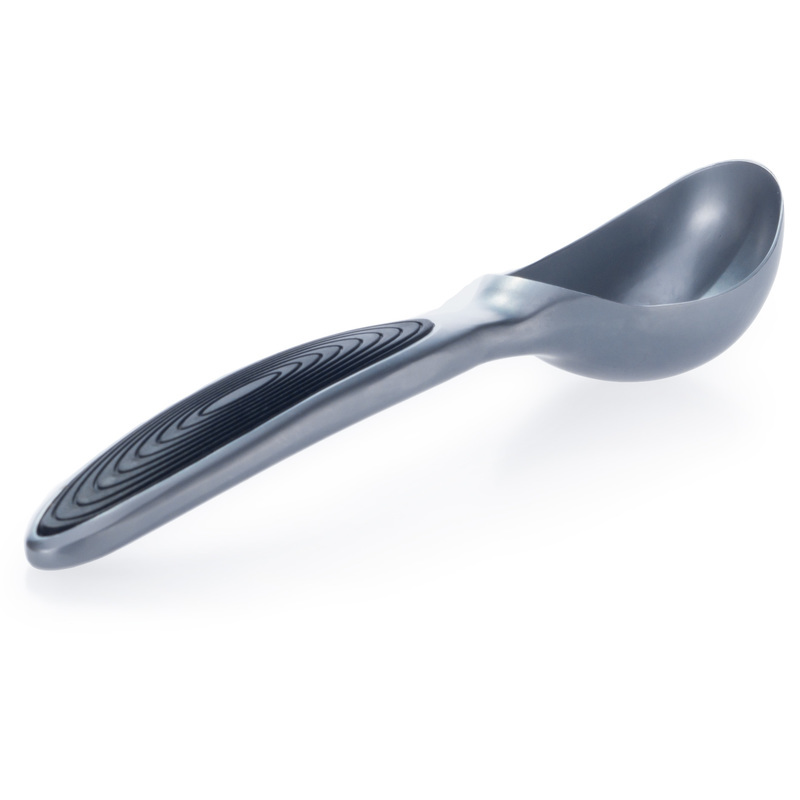 CLASSY & CHIC Dress up any kitchen or table with this black and silver ice cream scoop. It's not only tough, but the design is striking!..And it's virtually indestructible. You will absolutely love it! 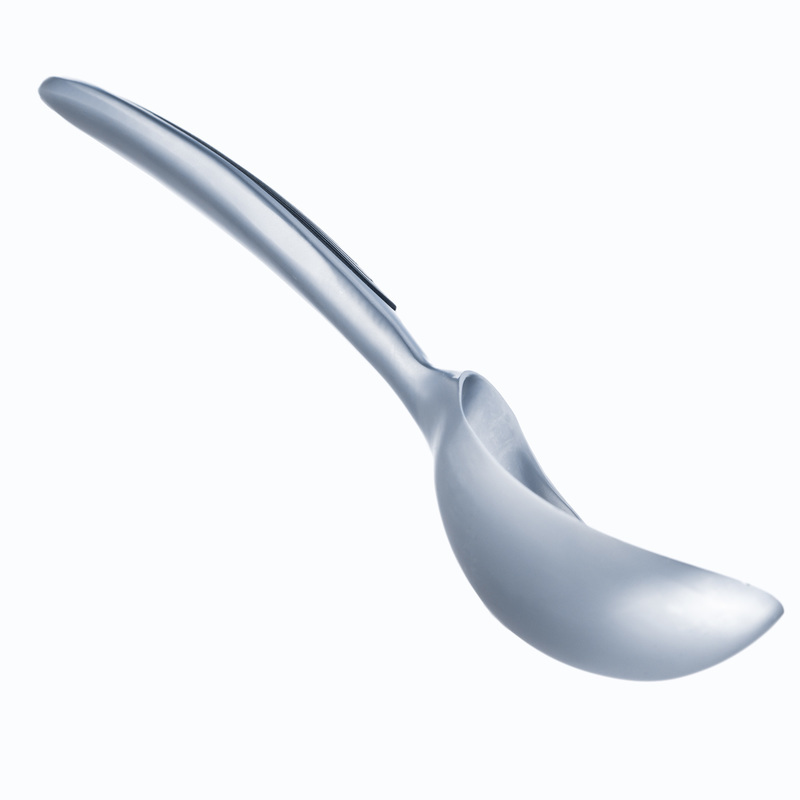 ERGONOMIC HANDLE lets you easily scoop out whatever ice cream you like with minimal effort. No more digging or waiting for ice cream to thaw. Easy on your hands and wrists and helps you avoid muscle strain.